An established resort community, Santa Cruz is well known for its idyllic beaches, beautiful state parks and coastal redwood forests. Its moderate climate, natural beauty, educational institutions, alternative community lifestyles, and socially liberal leanings contribute to its uniqueness as a beach community on the central coast. Located on the northern edge of the Monterey Bay, an hour and a half drive south of San Francisco, Santa Cruz boasts some of the cleanest air within the country and is a leader in environmental awareness. It is a hub in the recent organic agriculture movement, as evidenced by the abundance of Farmer’s Markets and gourmet, eco-conscious grocers. Its population of about 55,000 is bustling with local musicians, world-class surfers, activists, artists, students and notable academics. 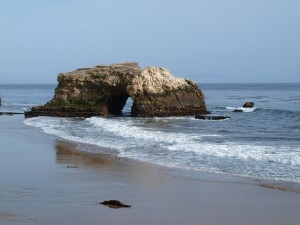 Nicknamed “The Real Surf City, USA” Santa Cruz is not short on recreation. Residents enjoy water sports, cycling, hiking, and a plethora other outdoor sports and activities. The community hosts notable festivals year round such as Shakespeare Santa Cruz, Santa Cruz Film Festival, Santa Cruz Pride, Open Studios Art Tour, O’Neill Cold Water Classic, Woodies on the Wharf, the Wharf-to-Wharf Race, and the Big Kahuna Triathlon. All of these facets make Santa Cruz an ideal place for real estate investment. However, the best evidence is to see for yourself! Come on a tour with me as I guide you through the area(s) you think would suit you most and truly see what this coastal town has to offer. My area of specialty, the Westside is largely residential with a few boutique businesses sprinkled throughout. It’s proximity to Steamer’s Lane, West Cliff Drive and the University of Santa Cruz make it an idyllic neighborhood for residential and income property investment. Home to the Santa Cruz Harbor and Seabright Beach, this neighborhood is characterized by an array of beach cottages and local businesses. Residents enjoy its central location in the community. On the Eastside of Santa Cruz you will find charming beach homes and peaceful streets, within walking distance to famous surfing spots including Pleasure Point and The Hook. In downtown Santa Cruz there is a plethora of shopping, arts, eclectic dining, and entertainment including independent movie theaters, music venues and a bustling night scene. Residents can find peace in a convenient locale on the tree-lined streets surrounding the city ‘s hub. This up and coming neighborhood offers potential for income property investors. Its close proximity to the Santa Cruz Beach Boardwalk makes it an appealing location for tourists and students looking to rent. A sleepy community inland on the Eastside of Santa Cruz offers a colorful mix of homes conveniently located. The sunniest area of Santa Cruz inland of Seabright is peaceful and centrally located. Close to De La Veaga Park and the public golf course, it has a lot to offer as a residential neighborhood. It’s also a great locale for San Jose commuters. The areas surrounding Santa Cruz offer a range of properties from luxury estates and ranches to fixer-uppers and turnkey condos for varying budgets. For more information on what these areas have to offer contact Dietrich (831) 227-0471.